Home \ Question \ What do you do when you already have plantar fascitis? 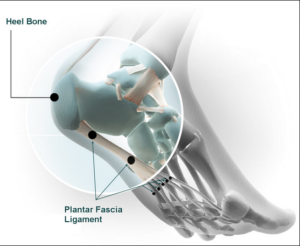 Ask the WODdoc › Category: Lower Extremity › What do you do when you already have plantar fascitis? I already have plantar fascitis and I stopped running for several years. I am in the Army and swim for my cardio portion of the PT test. I recently went back to crossfit and up until recently the plantar fascitis hasn’t been an issue. I saw your video for bullet proofing my feet from getting plantarf fascitis but can this work on relieving it? 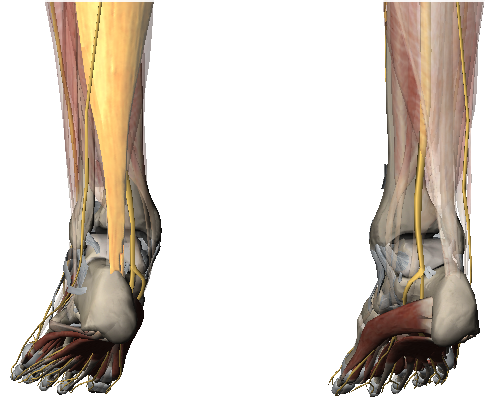 I also noticed that my calf is really tight in the same side as the plantar fascitis. I am wondering if the two are related and if I need to work on the muscles in the calf as well to relieve the fascia in the foot? I want to run again and I want to find ways to prevent the plantar fascitis from developing every time I want to run. To the first part of your question … yes. These drills work well for both relieving and reducing plantar pain. To the second part again is … yes. If you take a look at the anatomy which I will post below you will notice that the calf musculature culminates into a tendon called the achilles tendon. Now the achilles anchors in the calcaneus (the bone in your heel). Although in might appear different in the pictures below this fascia is continuous and when the calf shortens (becomes tight) that stress adds tension on the plantar fascia. That increased tension can irritate the bottom of the foot. Moral of the story is its all connected.